Granite Foundation Repair proudly serves the city of Arlington in Foundation Repair and Drainage Solutions. Our work is backed by a full lifetime warranty. Our company has an A+ standing with the Better Business Bureau and is highly ranked on Angie’s List. At Granite, we are all about helping you preserve and restore the value of your house. For most people, a house is their largest purchase and biggest asset. Houses cost a great deal of money and they are often the place where lifetime memories are made. 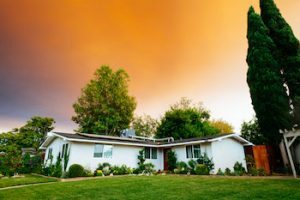 Sadly, there are some major issues that can take place in your home and seriously dent its value. At Granite, we take it upon ourselves to make sure that we keep your house standing on a solid foundation. With our tailor-made services and years of experience, your home is in good hands with us. Here are some of the valuable reasons why you should trust us with your home. We have been offering foundation repair services in Arlington, TX since 2000. This has enabled our team to gain immense experience and expertise in dealing with a variety of foundation issues. 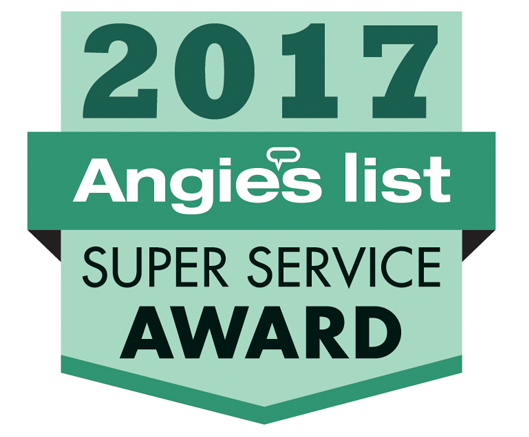 Due to our high level of services we are the recipients of several Angie’s List Awards and have achieved an A+ BBB rating. We offer a lifetime transferable warranty. This means that your warranty is transferable to your buyer should you decide to sell your property later on. Imagine how that can add value to your selling price! We offer free repair estimates and do this after conducting a thorough assessment of your home. We offer tailor-made solutions. Foundation problems come in all shapes and sizes. Each problem requires a different solution. Generally, though, we have found that problems with concrete slab foundations are rife in the Arlington area. If your concrete slab foundation has a problem, contact us immediately. We will evaluate it extensively to determine the severity of the problem. Based on the results of our evaluation, we’ll provide the right solution. Whichever method we choose, our goal is always to provide quality services. Our repair solutions are based on extensive field experience, innovation, quality, and prompt execution. They enable you to save both money and time. The result is a stable home with a foundation that will last for generations to come. At Granite, we have the expertise and the experience to ensure your Arlington home is fixed once and for all. All of the repair processes, from the evaluation to the repair stage, are handled by professionals. Granite is a professionally-run business. Our specialists are acclaimed industry experts and have learned everything there is to learn about foundation repair in Arlington, TX. There’s simply no room for mistake. To get an idea of the status of your home’s structure, we begin the process by performing a free inspection. After receiving the evaluation, our in-house specialists then make a plan for repairs, if necessary. Based on our experience from fixing houses in Arlington, TX, three out of ten homes often don’t require extensive repairs. But for the few that do, our specialists will review the plan to repair your home, keeping you informed every step of the way. We make sure you understand what we are doing throughout the entire repair process. At Granite, we believe that it’s important for homeowners to be involved and understand all aspects regarding their home’s repairs. If you have any questions, our team of specialists will be more than happy to answer them. If you put off getting your home’s foundation repaired, the problem will only become worse. Repair and stabilization should always be a priority for both economic and structural reasons. Typically, we find that the cost of foundation repair and house leveling can save you money especially in cases where the initial signs of problems are written off. If you have concerns about your home, don’t hesitate to contact us immediately. Your home’s value and your wallet will forever be grateful to you. If you notice any signs of damage, call us for the best services in Arlington, TX. Call us immediately if you see signs of foundation issues. By doing so, you are doing your home, your family, and yourself a great favor. Our company is well-established and can fix a wide range of foundation problems. With the free repair estimates we offer, you have nothing to lose by giving us a call today. Whether your issues involve moist crawl spaces or slab foundation cracks, we are here to help! We understand what works best for a particular foundation problem thanks to the knowledge we have in this field. With our services, your house will be in perfect health. We’ll restore your home’s foundation level which will protect your property’s value. For most houses in Arlington, the problem is almost always because of the clay soil. Since clay soils are not stable, this type of soil is bad for foundations and basements. It expands when wet and shrinks when dry. These changes can cause a great deal of pressure on foundations. At Granite, we have years of practice handling foundation issues. We’ll offer a long-lasting solution that will preserve the value of your house for years to come. Get started by giving us a call for a free estimate. One of our trained professionals will come to assess your home’s foundation and provide you with advice on what should be done to bring your house back to its former glory. At Granite, we’ve spent years building our reputation by offering top-notch services in the Arlington area. Take the first step by giving us a call today. Arlington is located in the County of Tarrant and is approximately 20 miles west of downtown Dallas and 12 miles east of downtown Fort Worth. According to the recent census, the city is the 48th most populous city in the country with a population of 379,577. Arlington is home to Texas Health Resources, the Nuclear Regulatory Commission Region IV, the Arlington Assembly plant used by General Motors, and the University of Texas at Arlington. 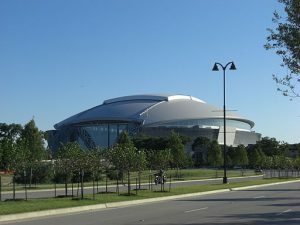 Additionally, the city hosts the Dallas Wings at the College Park, the Dallas Cowboys at the AT&T Stadium, and the Texas Rangers’ Globe Life Park.